Since the beginning in the 70s until today. In the early 1970’s P. RECATALA was formed, it manufactured steam boilers. 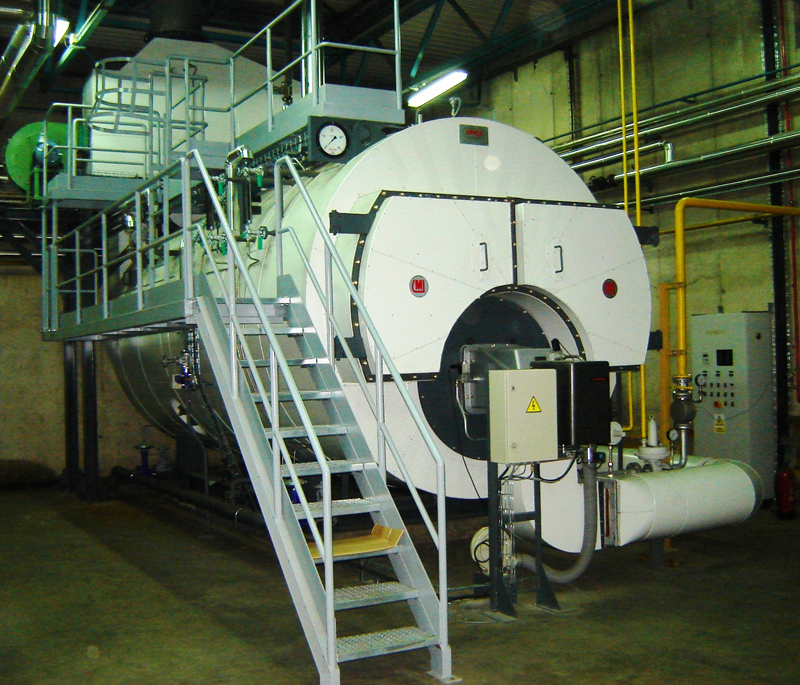 During the 1978’s they created and design their own steam boilers and in the year 1987 VALTEC-UMISA, SA was formed. In 1997 the company received the Quality Systems Certificated according to ISO 9000:94 applying the design, manufacture and installation of our equipment. Currently we hold the certificate for security according to ISO 9001:00. This has allowed us to obtain our quality certificate in line with the requirements in the Annex III module H of the Pressure Equipment Directive 97/23/CE, requiring members of the EEC to follow the European legislation referring to pressurized equipment since May 2002. We deliver our equipments with the label “CE” and Declaration of Conformity, and with the technical dossier revised by a Notify Body which assures and certifies that the pressure equipment meets to the rules. Our range of boilers includes firetube boilers from 5 T/h to 40 T/h. burning fuel oil or gas as fuels, being the first Company in the Spanish market in the sale of the steam boilers from 15 tn/h. In 1986 Umisa Proyectos y Calderería SA. was formed. Around the middle of the 90’s Umisa merges with Valtec. 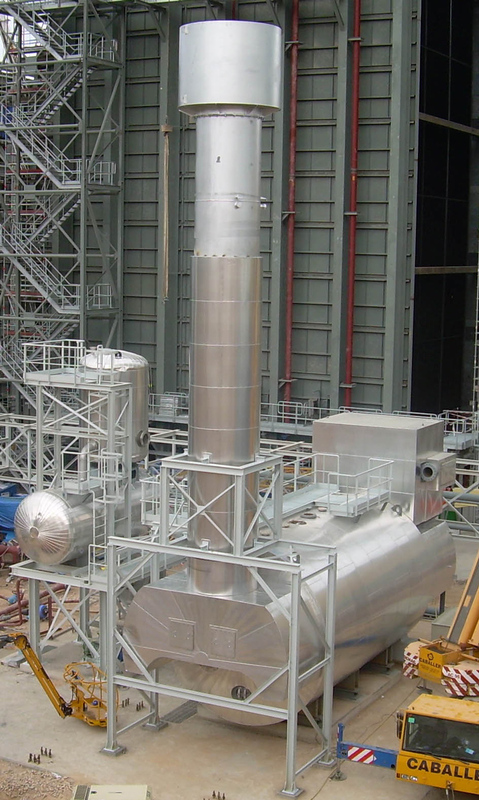 Manufacture and installation of steam pyrotubular generators. 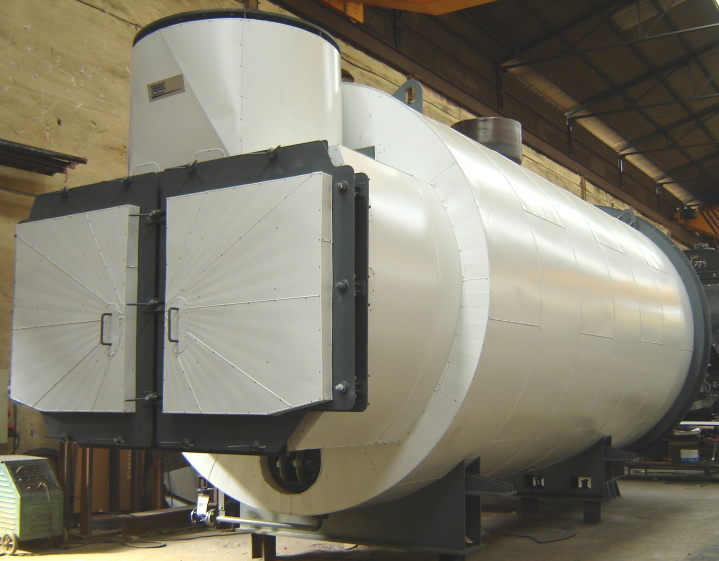 We manufacture conventional steam boilers as much as mixed steam boilers with two welded fire-tubes (water tube box). We customize steam boilers adapted to your needs. Our equipments are on the top of steam generators for high steam productions. High profit and savings rates. Technical workers with specific qualification. We have an after-sales department to address the resolution of any incidents that may occur. Design, manufacture & installation of firetube steam boilers. 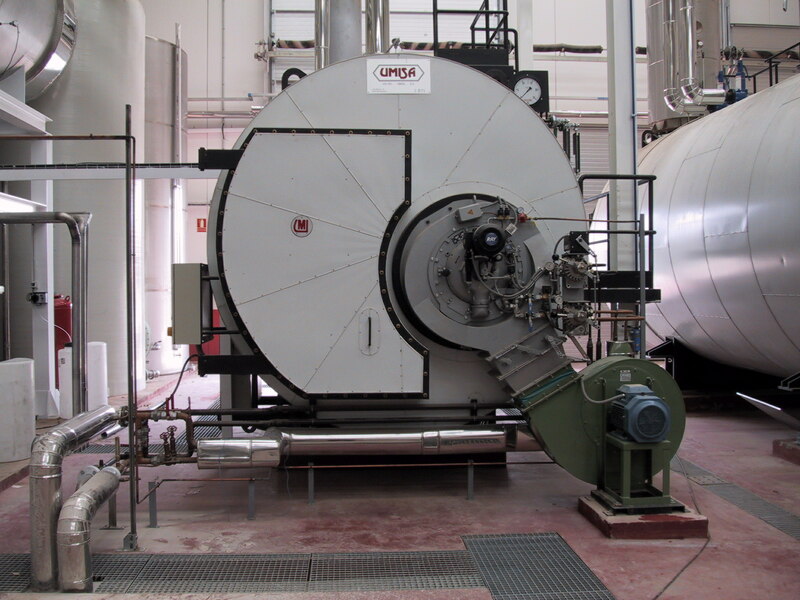 VALTEC-UMISA, S.A. is a Spanish company involved in the design, erection and installation of three pass firetube steam boilers with automatic firing equipment for liquids and gas as fuels, and allied equipment. Steam boilers with one welded fire-tube. Conventional steam boilers with two welded fire-tubes. Mixed steam boilers with two welded fire-tubes (water tube box). And also, all the auxiliary equipment related with the steam production plants will be supplied on a “turn-key” basis within the specified supply limits. We perform all works required to ensure safe operation of the plant. System of quality for the design, manufacture, installation and after sell service. VALTEC-UMISA, SA.’s policy is based on knowing and assuming ownership of their customers’ needs, manufacturing and installing pressure equipment, and providing services that fully meet these expectations. This motivation led VALTEC-UMISA, S.A. to achieve the ISO 9001 certification in all areas of the organization as the main tool for achieving their targets. 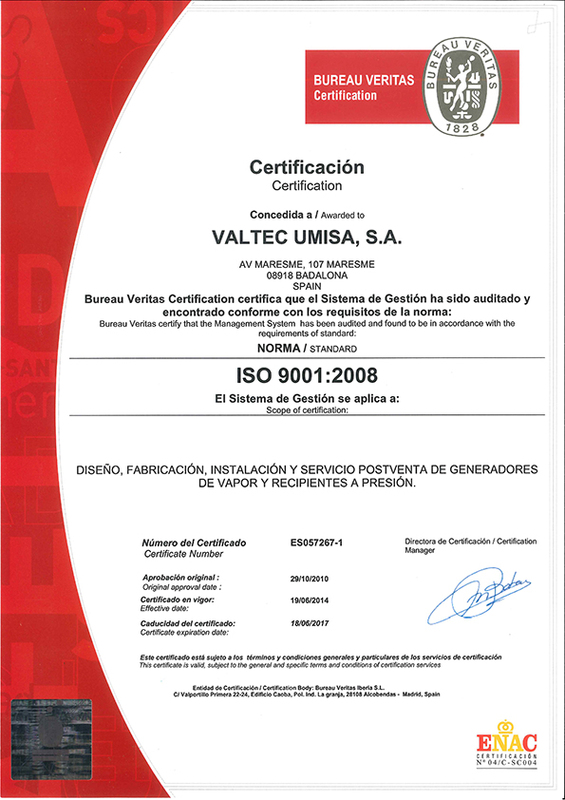 In 1997, VALTEC-UMISA, S.A. was awarded Quality System Certification under ISO 9000:94, applied to its business of designing, manufacturing, installation and after-sales service. Currently, we have Quality System Certification under the Quality Assurance Standard ISO 9001:2012. VALTEC-UMISA, S.A. designs and manufactures its equipment according to the Pressure Equipment Directive DEP2014/68/UE, by providing all equipment with a “CE” marking. This has led the Company to be one of the leading companies in the Spanish market. It is VALTEC-UMISA, S.A.’s commitment to its objectives, the promotion of quality and continuous improvement, which comprises, but is not limited exclusively to: innovation, appropriate manufacturing processes, price control, compliance with regulation, training and adequate service to our clients, and regularly reviewing the achievement of these objectives.